There are so many benefits of eating sabudana. Continue reading this article to eat your favorite sabudana dishes without feeling guilty! This Navratri, delight in the flavors of sabudana (sago/tapioca) and fulfill your share of nutrients and the many health benefits of this super-delicious farahar food. We bet all of you are ready and bouncing in your traditional chanya choli outfits since Navratri 2017 is finally here! A bit about the festive season first: the beginning of this beautiful festival is marked by Navratri. It is a 9-day festivity that is celebrated in the name and honor of the divine goddess Devi (Durga). During this festival, people usually fast or otherwise make changes to their regular, day-to-day eating habits, besides praying to Devi Durga. Apart from fasting, the festival also includes dancing in the traditional form of ‘Garba.’ Men, women, children, and all garner on the colorful, traditional outfits of Navratri. Apart from the religious significance that this festival beholds, Navratri is the time during which we follow a special diet with foods packed with nutrition. The scrumptious delicacies of Navratri consist of aloo ki sabzi and rajgira ka atta. 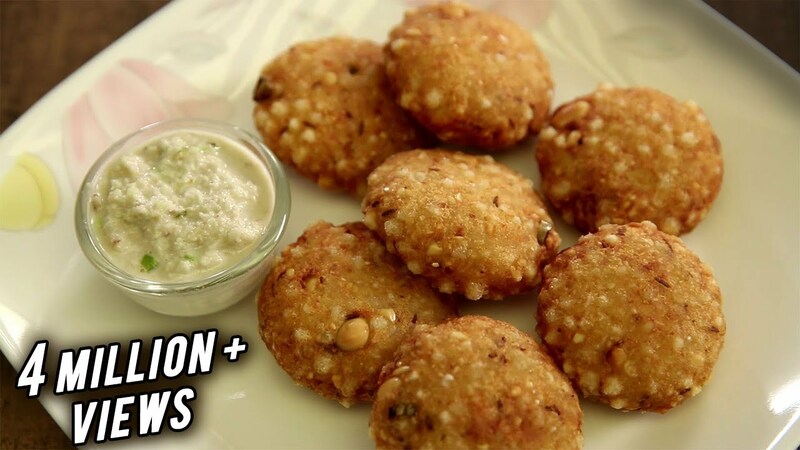 And another extremely unique dish of Navratri include Sabudana khichdi and Sabudana vada. Sabudana, as an ingredient, isn’t only used during Navratri. The ingredient is also a popular breakfast and evening snack, apart from being eaten during fasts. Also know as sago or tapioca, sabudana usually looks like little white pearls. It is nothing but starch that is extracted from roots. The item is high in carbs and is also low in fats, thus making it an ideal food to consume for all those who wish to cut down some calories. Apart from all this, we have some more health benefits lined up for you to eat more of Sabudana this festive season. Have a look here! Sabudana is basically starch extracted from roots. You can gain weight by eating sabudana. Everyone doesn’t wish to shed their pounds. Some people like being plump and prefer having some flesh to wrap around their bones. Sago is quit economical along with being easy to cook, and it also helps you to gain some pounds faster. Also, if you are a vegan, Jain, or vegetarian and you wish to develop muscles, then sago is the ultimate source of protein for your body’s muscle building ability. Besides just developing muscles, the ingredient will also help you gain some physical strength. Sago can actually make your bones more active. One more great health benefit that you can gain from sabudana is strong bones. Yes, eating sago will strengthen your bones and maintain your flexibility at the same time. Iron, calcium, and vitamin K in tapioca results in such a food which that keeps you charged up and free of lethargy even after some dog-tiring activities. Sabudana can also help you keep your blood pressure in check. One of the important health benefits of eating sabudana is the fact that the potassium content in it will keep your blood pressure under check. Benefits of eating sabudana also happens to promote a healthy, good blood circulation patter in your body. Some more benefits of eating sabudana include their ability to help your indigestion and constipation problems. If you have a constant issue of constipation, then sabudana is the food for you. All you will have to do is eat a cup full of sabudana and that is it. So, this Navratri during your fasts, don’t worry about eating sabudana at all! There are so many benefits of eating sabudana, and we are sure you will definitely relish the flavors of tapioca and gain from the many health benefits of eating sabudana.